A Tiger by any other name is still a Tiger. That is the case with Mark Elliot, who landed his dream job last summer as head coach for a college track and field team that’s ranked one of the best in the U.S. National Collegiate Athletic Association (NCAA) Division 1 conference. Elliott spent 20 seasons with Louisiana State University (LSU) as a coach in the track and field program. The last eight years he served as associate head coach for the LSU Tigers, working directly with middle distance and long distance runners. He was hired as head coach for the Clemson Tigers at the end of the 2013 season, and so remains a top-ranking Tiger of a different color. 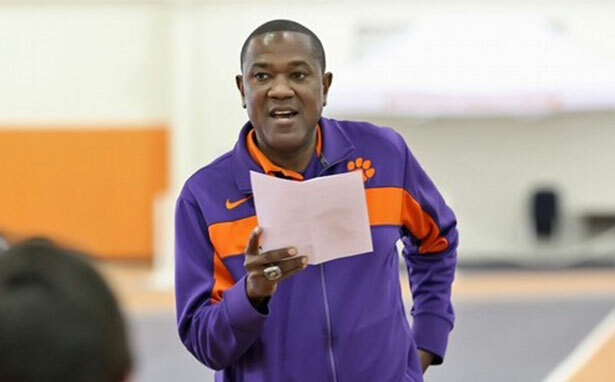 He is in charge of the men’s and women’s track & field and cross country at Clemson University in South Carolina. A former outstanding Jamaica high school and LSU student-athlete himself, Elliot was nicknamed ‘Yifter’ by Jamaicans after the Ethiopian who won the 5000m and the 10,000m at the 1980 Olympics. Elliot also had mega achievements while at Blinn Junior College and at LSU, where he set national records in the 3000m, 5000m and 10,000m. His 5000m record at LSU is still intact. As a coach at LSU, he was instrumental in the recruiting efforts for the combined program. His resume is bullet-proofed with athlete success stories in middle distance events as he helped guide the men’s program to NCAA Indoor Championship crowns in 2001 and 2004 and to an Outdoor title in 2002. The women Tigers won several Indoor and Outdoor national titles between 1994 and 2012. But Elliot’s coaching expertise extends beyond the college boundaries; he has also coached at the international level, serving as the head coach for the Guyanese team to the 2004 Olympic Games in Athens and the 2007 World Championships in Osaka, Japan. Prior to that, he was an assistant coach for the Caribbean island of Grenada at the 2005 Helsinki World Championships. 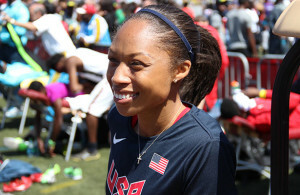 The Jamaican-born Elliot earned a track scholarship to the US and graduated from LSU in 1991, having earned four All-American honors. He was the silver medalist in the 3000m at the 1989 NCAA Indoor Championships and a member of four straight Outdoor national championship teams: two at Blinn Junior College and two at LSU. Elliot won a pair of Southeastern Conference (SEC) individual titles and was a 14-time junior college All-American as well. TrackLife International caught up with the lead Clemson Tiger in New York, when he came into town with his new Tiger family for the February 7 to 8 Collegiate Invitational at the Armory. See video at right.